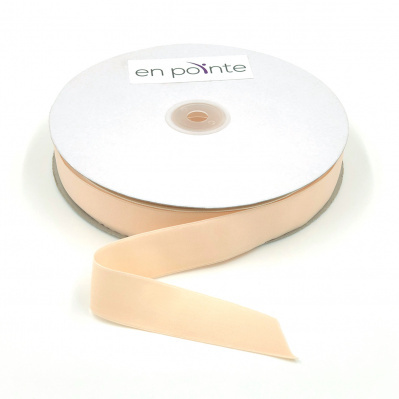 This Stretch Ribbon Roll from En Pointe Dancewear is made of a professional-quality Nylon/Spandex blend. Measures 7/8" wide with 26 yards of ribbon per roll (over 75 feet). Color - Light Professional Pink.